Sitecon is tailored to optimise the support it provides to project managers, tradesmen, site managers and supervisors in companies of all sizes. The program is intended for experienced project managers as well as ordinary tradesmen, helping them with tasks as diverse as keeping track of projects and sending out invoices. You can also use the new Sitecon Web to enter work orders and times directly into your smartphone, tablet or laptop. Here you can notify your interest with Elecosoft. Fill in your contact information and we’ll be happy to hear from you. 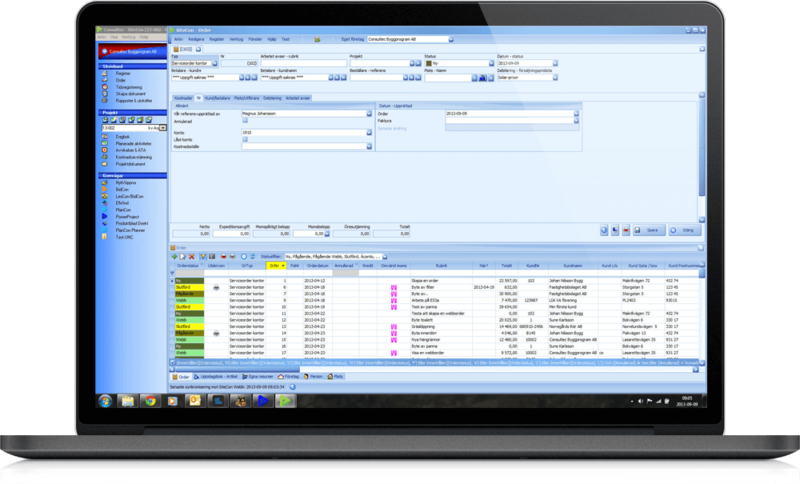 Here you can book a demo with Elecosoft. Fill in your contact information and we’ll be happy to hear from you. The program also makes it easy to share the information with others, either by e-mail or over the network. Click the add-ons tab to find out more about the functions. The basic version has templates for construction and installation, but Sitecon is also available in five trade-specific versions. There are versions for members of the following trade bodies: EIO (electricians), PLR and MVR (sheet metal and metalworking), TiB (roofing contractors), Golvbranschen (GBR – flooring), and others for plumbers firms. Sitecon consists of a number of modules (parts). There is nothing to stop you using all the modules, but you may want to just use a few modules depending on your business and your needs. Logbooks are a good way of documenting the work done on a construction site or in a company. You can also attach relevant images and documents to logbook entries. This module documents the variations that occur as work progresses. Documents can be linked to the change, and the module also updates estimates for BidCon users in electrical, construction and installation. This module contains all the documents related to the project, such as estimates, schedules, drawings, e-mails to and from various contacts, images and text files. To make them easier for your colleagues to find, all documents are saved in the folder structure created automatically for the project. There are also predefined document templates for you to use in the project. It is easy to send the purchasing templates to multiple recipients with just their own details in the page header – they cannot see the other recipients. There is a special document format for internal checks and checklists, including checkmark and signature functions. Time recording is a great tool for allocating the hours worked, travel time, etc. to particular projects and work orders. The information can then be used as billing and payroll data. This function is also available over the Internet. This module is used for entering work orders, including details of the work to be done, the date and the location. The work order can then be e-mailed, uploaded to Sitecon Web or accessed online. The module also records the costs involved in the work order, creating billing data that can be sent to the customer. The work orders module is fully compatible with the desktop and web versions of Sitecon. 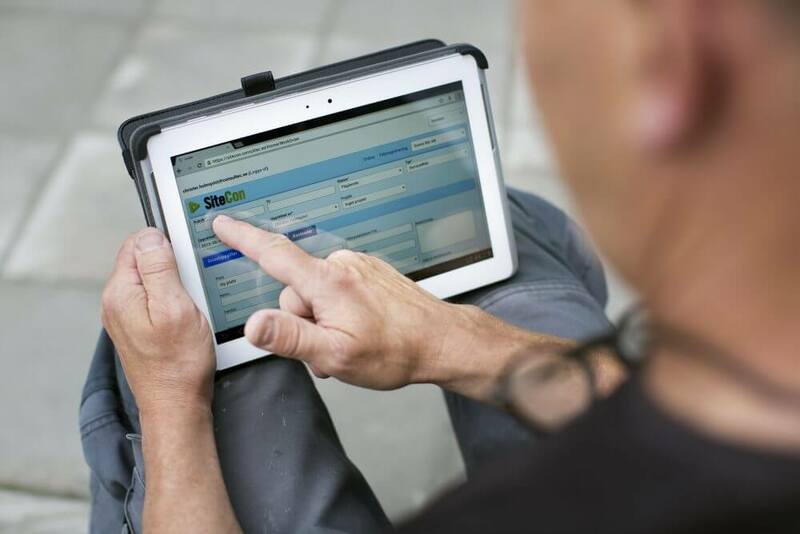 This add-on module is available to users of BidCon Construction & Installation. It contains functions supporting financial tracking. The budget is generated from your BidCon estimates, and you can specify the level at which reconciliation takes place – by account or by building element. It is possible to link the module to a financial system and import transactions. Now you can access time management functions and process work orders even if you are out of the office. Sitecon Web offers unprecedented mobility and efficiency. All information is synchronised with Sitecon in the office, providing instant feedback about ongoing and completed work. This makes it easier to keep track of the project, with more effective planning. You can access Sitecon Web anywhere there is an Internet connection. The web-based solution has a responsive user interface that automatically adjusts to the screen size of the device used. It is up to you whether to use a laptop, tablet or smartphone. You can record the time you spend on projects and work orders wherever you are. Sitecon Web gives you access to all the projects defined in Sitecon. That means you can instantly enter the time spent as soon as you finish. The times are sent to the supervisor for regular project reconciliation. You can sign your hours at any time, indicating to administrators that the data is ready for payroll and billing. Sitecon Web means there is no need for separate paper-based time sheets. Sitecon Web makes it easy to instantly send a work order created in Sitecon to a user on site, with details about what needs to be done and where. You can then use your smartphone, tablet or laptop to add more details like the materials used and hours spent, and return the updated work order to Sitecon. You can also create a work order from scratch in your smartphone, tablet or laptop, then transfer it to Sitecon for inclusion in the relevant project. Sitecon is also available in five trade-specific versions. They each contain document templates that have been specially designed for the particular trade. This version of Sitecon also contains document templates from EIOFORM – the electronic form system created for electricians by the organisation EIO. There are forms for many different purposes including quality assurance and contracts/administration. This version contains PLR/MVR document templates from FR2000 Sheet Metal and Ventilation. FR2000 is a management system designed for firms working in sheet metal and ventilation. It is based on ISO 9001, ISO 14001 and SS 62 40 70, on AFS 2001:1 (the Swedish Work Environment Authority’s guidelines on systematic improvements to the work environment) and SRVFS 2004:3 (the Swedish Rescue Services Agency’s general guidance on systematic fire protection work). FR2000 is maintained by PLR/MVR, which also offers training and certification for its corporate members. To find out more about the FR2000 system, visit www.fr2000.se (in Swedish). This version also contains document templates specially designed for plumbers in conjunction with Produktblad Direkt. There are forms for many different purposes including internal checks and risk assessments.. This version also contains document templates specially designed for flooring contractors in conjunction with GBR. There are forms for many different purposes including internal checks and checklists. This version also contains document templates specially designed for roofing contractors in conjunction with TiB. There are forms for many different purposes including quality assurance and contracts/administration. When only one user needs the software. Intended for installation on a local computer. The license can be moved between different computers. When multiple users wants to share the software from your own company server environment. The program is installed on either a server or computer and the license on a central server. 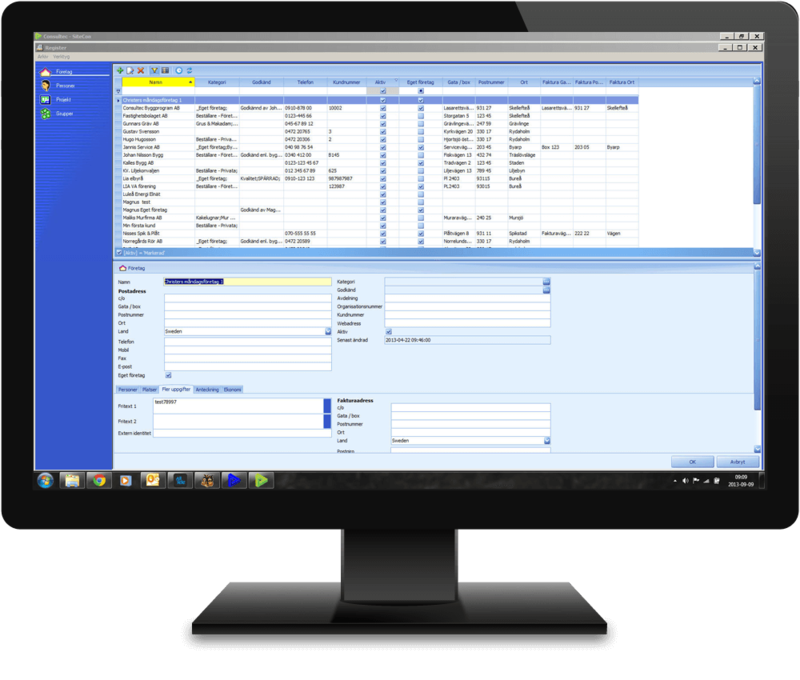 A safe rental solution for using our software, regardless of whether it concerns single or multiple users and are suitable for both small and large companies. It’s easy to get started and you do not have to contact an external IT consultant or IT department – all you need is a device with internet connection, install the driver and log in to start working. The connection speed requirements are low and it works well with, for example GPRS and 3G. Elecosoft guarantees a reliable server environment where backup are made several times a day and we also handle all software updates that you automatically get access to. You avoid investment costs in favor of a fixed monthly fee and the software allows everyone in your company that uses the program to share the same information quickly and efficiently, no matter where you are. This increases accessibility and facilitates for the mobile office.